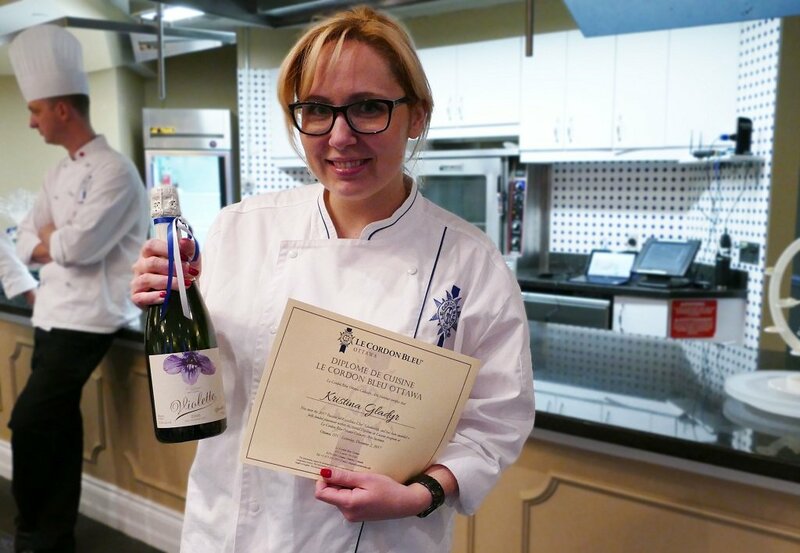 Kristina Gladyr was crowned the 2017 Passion for Excellence Chef Scholarship winner at Le Cordon Bleu Ottawa Culinary Arts Institute on Saturday, December 2, 2017. Amongst Kristina was five other scholarship contestants from across Canada, Eleanor Wong, Florent Villeneuve, Justin Lalonde, Mayim Salome and Sheena Marshall. Kristina is the third winner of the scholarship, last year Gloria Otshudi from Ottawa, Ontario was crowned the scholarship winner and in 2015, Amanda Coccimiglio from Vancouver, British Columbia. 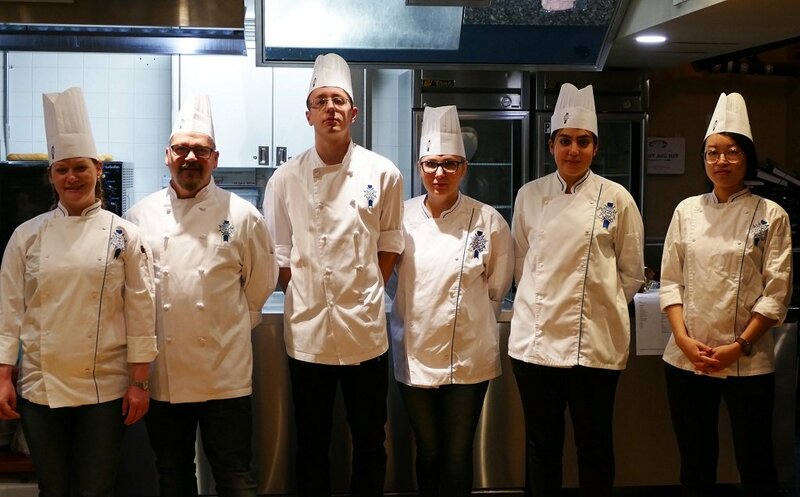 The Diplôme de Cuisine scholarship valued at $30,000 CAD, includes a fully funded nine-month placement in the program as well as a one month paid internship under the guidance of Executive Chef Yannick Anton of Signatures Restaurant. The judges for the 2017 cook-off comprised of Le Cordon Bleu Ottawa Chef Nicolas Jordan and guest chef Amanda Coccimiglio and Charles Part of Les Fougères Restaurant. The scholarship was determined through a four-hour cook-off that pushed the contestants to their culinary limits. Each contestant had to prepare a three-course French dish which included a starter of quinoa with apple and arugula salad, a main course of duck with wild rice with zita pasta, and a verrine dessert consisting of fruit puree, blueberries and cranberries. The judges scored the dishes based on five components: presentation, technique, taste, hygiene and organization. The contestants later celebrated over champagne and canapes with the judges and their guests before announcing the winner. A very overjoyed Kristina was crowned winner of the 2017 Passion for Excellence Chef Scholarship. We would like to thank all our 2017 applicants for their participation and wish you each all the culinary success. Le Cordon Bleu Ottawa Culinary Arts Institute is Canada's only campus for Le Cordon Bleu. Every year, students from all over the world, representing more than 100 nationalities, attend our campus to share a common bond in their passion for pastry and cuisine.